The Israeli air strike on a weapons convoy and military complex near Damascus, on the night between Jan. 29 and 30 has something in common with a similar air strike, the Israeli Air Force launched in 2007: the bombers entered and egressed the Syrian airspace almost completely undetected by the Syrian air defenses. On Sept. 6, 2007, ten F-15I and F-16 jets attacked a nuclear facility being built in Syria. The success of that mission, dubbed “Operation Orchard“, was largely attributed to effectiveness of the Israeli Electronic Warfare platforms that supported the air strike and made the Syrian radars blind: some sources believe that Operation Orchard saw the baptism of fire of the Suter airborne network system against Syrian radar systems from some ELINT aircraft. It is quite likely that Israel’s EW capabilities, most probably furtherly improved since 2007 (someone speculated Israel is capable to inject malware from its F-16s), have played a major role in the recent strike that hit a target located only 5 kilometers from Assad’s headquarters. Although the current status of the SAM (Surface to Air Missile) coverage around Damascus is quite difficult to assess, since some of the batteries protecting the capital town may have been sabotaged or hit by the rebels activity, the area is still believed to be heavily defended by several Soviet-made anti-aircraft system (even if most of all not so up to date). The following image comes from 2010’s survey of the Syrian SAM deployment, published on the interesting Sean O’Connor’s IMINT & Analysis blog. Although probably outdated, it still gives an idea of how crowded of SAM systems the area surrounding Damascus is. In June 2012, a Syrian anti-aircraft artillery battery downed a Turkish Air Force RF-4E Phantom that had violated the Syrian airspace at low altitude over the Mediterranean Sea, thus proving that Damascus’s air defense are still somehow dreadful for enemy fighter jets. 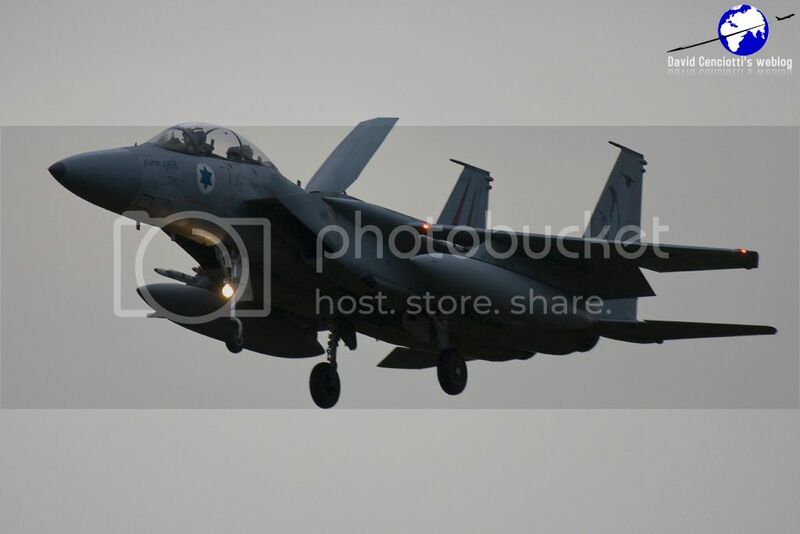 Even though EW coverage (embedded in the strike package or supporting it from distance) has probably contributed to the successful outcome of the air strike making the bombers somehow “stealthy”, another key factor in last night’s attack was the relatively short distance of the target area from the border and the local orography, that has helped the Israeli jets flying at low altitude achieving some terrain masking. The following image, drawn by The Aviationist’s contributor Giuliano Ranieri, shows a possible ingress route that exploits the terrain masking provided by the Mt. Heron and overflies a scarcely populated area. 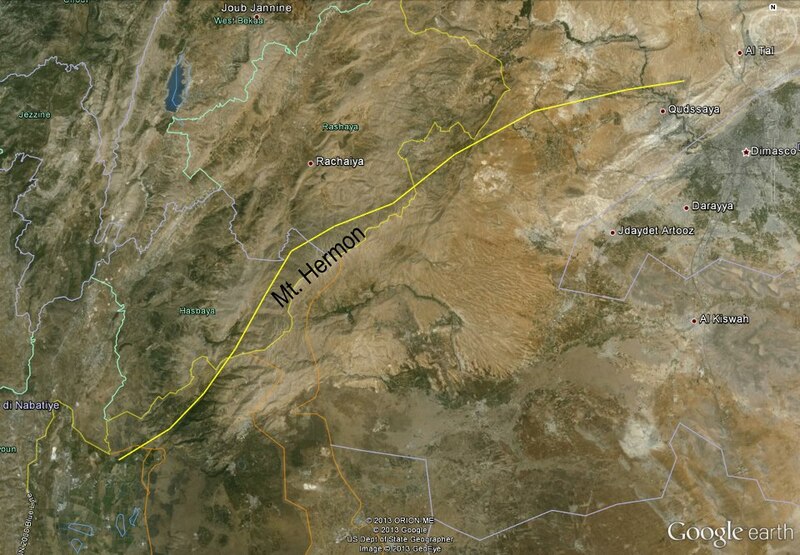 It’s just a hypothesis, still, likely, not too far from the route actually flown by the Israeli fighters. 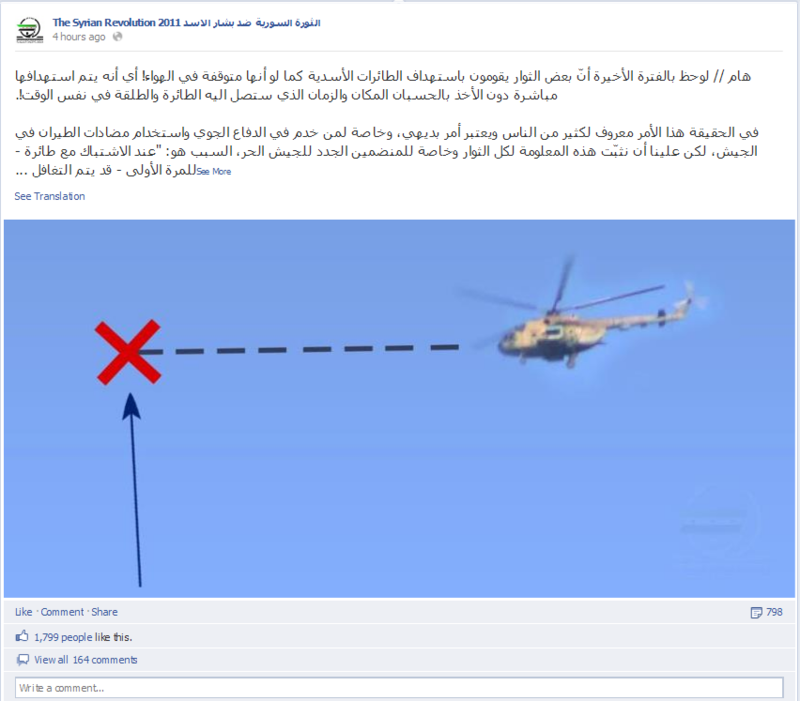 Some videos have been uploaded to Liveleak allegedly showing the Israeli fighter over Damascus at dawn. The one you can watch here has nothing to do with the air strike though: the type of contrails, the type of formation and, above all, the altitude of the planes depicted in the footage are not consistent with the IAF raid.